Not everyone loves candy ( kidding! ), but kind of. So just about everyone loves candy, but it’s a really treat to receive something other than candy and this is crucial for kiddos who have food allergies but want to still go trick or treating. We like to make sure we have both food + non food items for the sweet little goblins that come around. 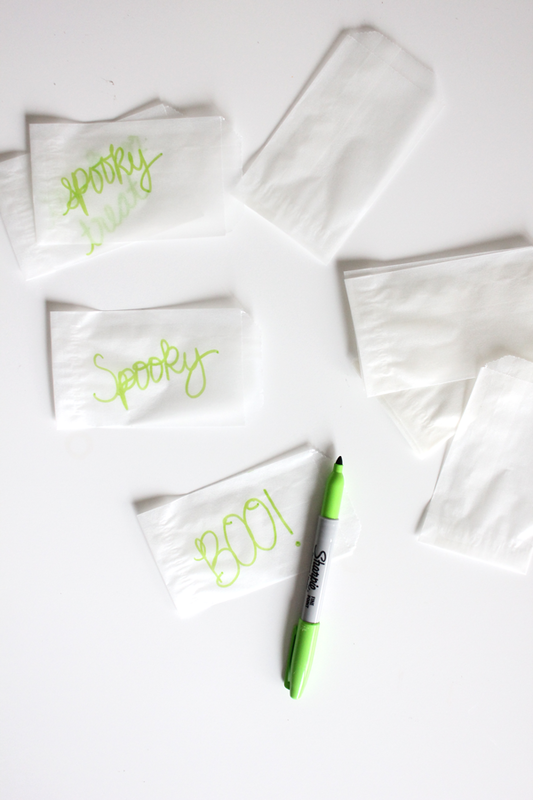 Step 1 – Write halloween-esque words on each glassine envelope and then fill them with confetti. 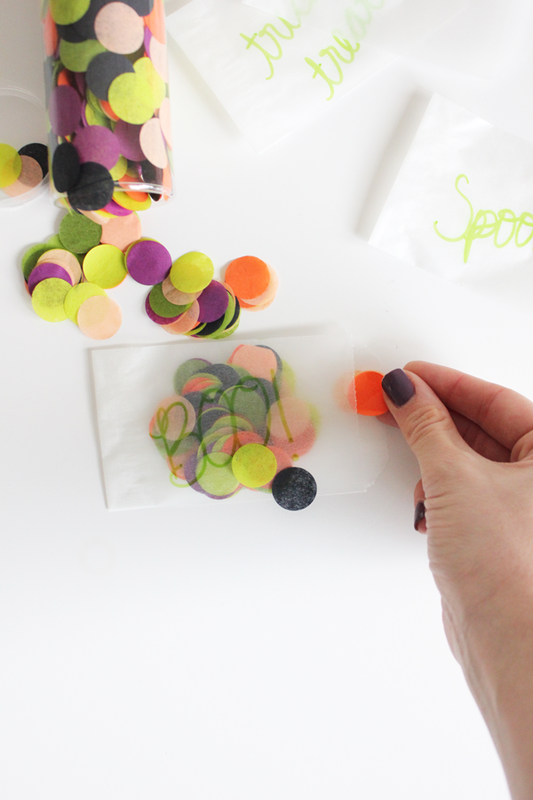 Step 2 – Hand them out to the trick or treaters! 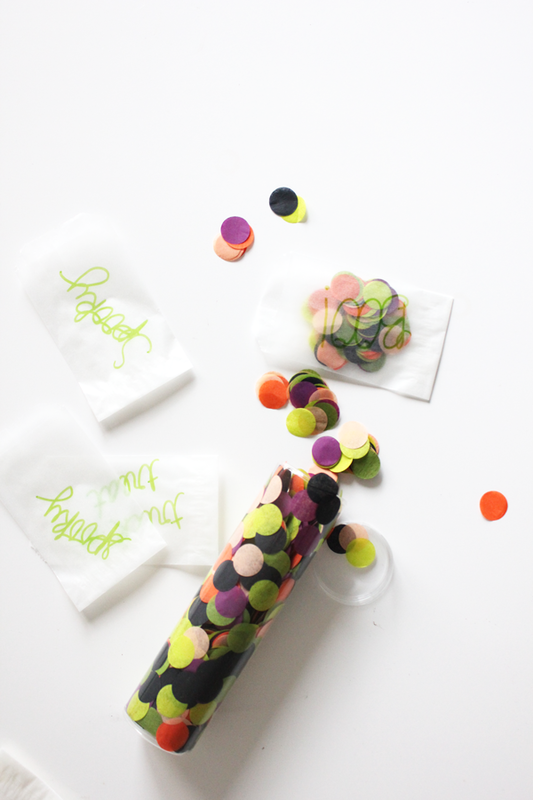 The post Trick OR Treat Confetti DIY appeared first on The Flair Exchange®.